It is hard to believe it has been a year since my last blog post, and what a year it has been! I promise to be better about that this year and committing myself to at least one blog post a month going forward. I would like to start by taking a look back at the past year. 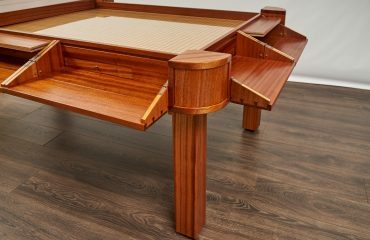 In my last post, I discussed that our fist comic-con experience provided validation that transitioning into a handmade custom gaming table manufacturer was a viable business. I also mentioned some interaction I had with Robert Gifford, the owner of Geek Chic. Unfortunately a few weeks after that event Geek Chic had to close their doors, what a loss to our industry and the gaming genre in general. It is always a sad day when an industry pioneer is no longer around. As unfortunate as that was it also had a major impact on our past year. I believe many former Geek Chic customers looked to us as the most comparable manufacturer, in design and quality, even though we were probably the newest on the market. The response was overwhelming and caused us to have to accelerate our short and long-term development plans. So we started the process of deciding how to ramp up our production without compromising our quality. 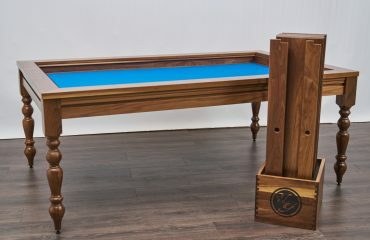 This involved bringing in an additional member to our team, Greg Malicowski, a second generation master craftsmen. 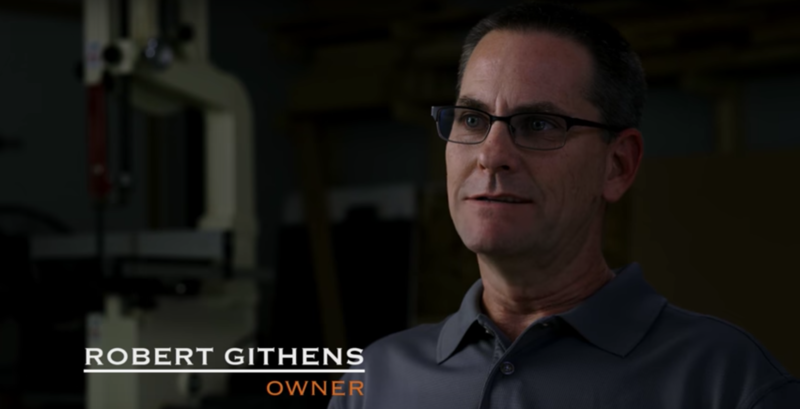 Greg oversees the production of The Earl and Viscount table lines along with accessories and attachments, in a new 3,500 square foot shop located in Apache Junction, AZ. 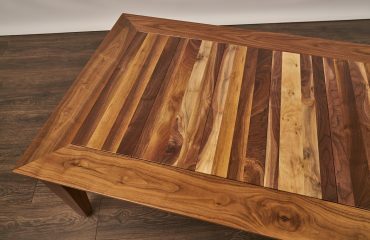 Greg’s continued refinement of the table construction process has enabled us to keep to our 6-8 week production time commitment. This also meant we still had to implement the processes to ensure we could keep up with what the shop could produce. This involved ramping up the design process, procurement of materials, and finishing process just to name a few. With all the effort being put into sticking to our 6-8 week production time several items fell by the wayside. Mainly the marketing side of the business including our website, social media, and yes even blog posts. Our thought process being we were already far outpacing our projected sales, why would we need to market ourselves. While this seemed a rational decision at the time we now realize that people have a craving for knowing more about who we are and whom they are doing business with. Most of this information is provided via websites, social media, and blog posts. That is why I making the commitment to blogging at least once a month and if you are reading this you have noticed the new website is up and running. A plan for consistent social media presence is also being worked on and you will begin to see us on other platforms as well. There are many more items that I think warrant discussion, but I will save them for future blogs…at least one a month.